Written by Jeff Baron & directed by Lisa McNiven. Eighty Six year-old widower Mr Green is almost hit by a car driven by young corporate executive Ross Gardienr. found guilty of reckless driving , Ross is oredered to spend the next six months making weekly visits to Mr Green. What stats off as a comedy about two people who resent being in the same room together develops into dramam as family secrets are revealed and old wounds are opened. Written by Steven Dietz & directed by Louise Woodward. Adapted by Rex Pickett from his own novel,Sideways follows two friends - Miles and Jack - and their hilarious journey into the heart of wine country/ along the way, Miles and Jack meet Maya and Terra and together face uncertain futures...just as soon as they figure out how to survive their chaotic present. Bookings: 0447 014 584 between 1pm & 3pm. Horton the elephant, the Cat in the Hat and all of your favourite Dr Seuss characters springing to life onstage in Seussical JR, a fantastical musical extravaganza from Tony-winners, Lynn Ahrens and stephen Flaherty. Transporting audiences from the Jungle of Nool to the Circus McGurkus, the Cat in the Hat narrates the stry of Horton the Elephant, who discovers a speck of dust containing tiny people called the Whos. Horton must protect the Whos from a world of naysayers and dangers, and he must also guard abandoned egg that's been left in his care by the irresponsible Mayzie La Bird. Jimmy Porter plays trumpet badly. He browbeats his flatmate, terrorises his wife, and is not above sleeping with her best friend -who loathes Jimmy almost as much as he loathes himslef. Yet this working class Hamlet, the original "Angry Young Man," is one of the most mesmerising characters ever to burst on the screen; a malevolently vital, vital, volcanically articulate internal exile in the dreary, dreaming Siberia of postwar England. A realistic portrayal toxic maculinity and the impacts that irate tirades have on the ones we "love". One Flew Over the Cucloo's Nest has left an indelible mark on literature, theatre and film. It is boisterous, ribald and ultimately devastating story of a mental hospital and its inhabitants. In aworld where sanity means conformity and followiong the rules is the only way to survive. One Flew over th Cuckoo's Nest is a powerful exploration oft the beauty and the daner of beong original . A madcap medievil tale of magic and mirth set in a time when men were men and women were women and a knight couldn't get his armour off! Life revolved around " Hey, Nonny Nonny", complicated by romance, intrigue and plain dirty deeds. Is Gertrude the Ghirkin really a dill? Can Merlin get anything right? Can the audience fail to love this show? Season: November 14 - November 30. 2019. This play is especially designed for dinnner seating and will be a great way to end the year with a few friends and lots of laughs. Agatha Shristie's The Mousetrap is the longest running show, of any kind, in the world. Running continously in London's West End for over 60 years. It opened in November 1952 at The Ambssors Theatre in London and moved to St. Nartin's Theatre in Mar4ch 1974 where it is still ruinning until this day. McMurphy thinks he can get outof coing work while in prison by pretending to be mad. His plan backfires when he is sent toa mental asylum. He tries to liven the place ap a bit by playing card games and basketball with his fellow inmates, but the head nurse is after him at every turn. Get your deerstalker cap on - the play's afoot! Sherlock Holmes and Watson must crack the mystery of Teh Hound of the Baskervilles before a family curse dooms its newest heir. A fast-paced adventure with everune's favourite detective, giving hos most notorious case. ive actors play more than 40 characters in this joyful, mischevious, comedy thriller. Season: August 8 - 31. 2019. Alving thought were long-buried are suddenly returning to haunt her. Jack and Leo are two Englidh actors whose careers are not exactly going to plan. They are broke and have resorted to performing in questionable plays in the Amish country of Pennsylvania. Whena n opportunity presents itself that could change their lives the question is, just how far are they prepared to go for a large pile of cash and the girls of their dreams? 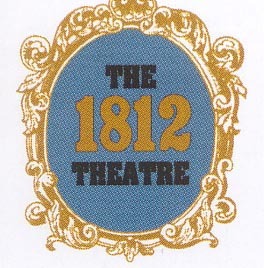 The production of a play at the 1812 Theatre involves far more people than just the actors on the stage. For example we need set builders, backstage crew, backstage management, costume making, front of house helpers, technical crew/bio box/lighting and sound technicians. All these functions are provicec by a small army of volunteers. It is an extremely rewarding experience, it builds lifelong friendships. It enables them to utilise existing skills as well as develop new ones. They have a lot of fun and laughs and enjpy 7being part of a production which they are proud of and which brings enjoyment to the many people who attend the performances. Whether it's a barbie in our backyard area, movie nights or other get togethers, we realise our volunteers are our lifeblood and a pretty social bunch too. If you are aged between 14 and 80 and this sounds like something that you may be interested in doing, please read on to find out what is involved behind the scenes. No production is complete without the set on the stage. 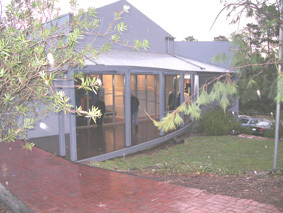 Thr building of the set involves design, painting, carpentary, furniture restoration and electrical work. This could range from hanging a picture to building a staircase. Experienced chippies. electicians, artists, designers are always welcome along with people who are eager to learn ad willing to get their hands a bit grubby. While the sets are being built the costumes designed and made. Working with the director this involves machine and hand sewing and fitting of outfits on the actors. This involves the changes made to the sets on stage during the live performances. This could range from providing an empty cup to an actor at a critical time before thay go on stage to changes between acts while the lights are down. If you can tip toe in the darkness and enjoy the adrenalin rush of being involved in a live performance, without being an actor on stage, this is for you. 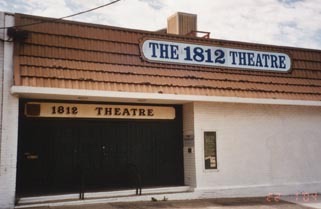 The face of 1812, you could be the lovely lady or gent greeting our patrons at the door, guiding them to their seats and making sure the audience refreshments between the acts and after the performance are ready to go when needed. At the end of the evening you get a chance to mingle with the actors, director,and other behind scenes volunteers. The designers choreograph the lighting and sound as part of the preproduction of the play. The technical crew and bio box operate the soud and lighting during each performances. You may be working with special effects? With a wide range of lighting and sound equipment available, working in time with actors on stage, its a great experience to be the one bringing the stage alive with massive claps of lighting and rumbling thunder or the soft chirpd in a lush foredt dcene. Whether you experienced or simply full of enthusiasm and ready to learn, thios may be for you. Fawlty Towers meets rural life in a small town when a local murder overtakes lives. With a bumbling policeforce, a lusty nomemaker, a gentleman farmer, mistaken identities and more broom-cupboard action than could be dreamed of. Well Hung is deliciuously funny, furious, farcical comedy at its best. Season: July 12, 13, 19, 25, 26, 27. 2-19 at 8pm. July 14, 21, & 27 at 2.15pm. On a cold, clear, moonless night in the middle f winter., all is not quite what it seems in the remote, mythical town of Almost, Maine. As the northern lights hover over in the star-filled sky above Almost's residents find themselves falling in and out of love in unexpected and often hilariouis ways. Knees are bruised. Hearts are broken. But the bruises heal, and the hearts mend - almost - in this delightful midwinter night's dream. Season: October 11, 12, 18, 19, 24, 25, 26. 2019 AT 8. pm. Matinees : October 13, 29, 26 at 2.15pm. Encire Theatre needs you in 2017 to help the company survive. Do you have a retired friend or family member looking fir a fun way to meet new people and give back to the community? Encore Theatre is in desperate need of volunteers to join our set-bulding team. Without them, we may need to cease production, No expreience necessary. Any handyman skills A plus. Sometimes love is messy in this romantic comedy where a unique cast of characters battle for love with heart-warming optimisim. A selection of of nine highly twisted and completely hilarious short plays. Set on a Friday night in an alternate suburban reality, this 80- minute romp explores the pain and joy that comes of being in love. /full of imperfect lovers and dreamers, from a couple that's obvessively impulsive to a bride with literally with cold feet, to a man who had a very... exciting lunch to the couple who have forgotten to have a baby. The Hartwell Players will showcase a selection of one act plays directed by and starring upcoming and returning Hartwellians. These one acts will then hit the road for the annuaol festival circuit across Melbourne and its regional areas. When an old adversary threatens Rome, the city calls once nore on her hero and defender Coriolanus. But he has enemies at home too. Famine threatens the city, the citizens' hunger swell to an appetite for revolution, and on returning from the battlefield, Coriolanus must confront the marching conflict of tradition, ceremony, and the voice of an angry people. Seaon: September 26 - Pctober 6. 2019. Brooklyn longshoreman Eddie Carbone is devoted to his wife Beatrice and his niece Catherine. Then Beatrice's cousins Marco and Rudolpho, fleeing the poverrty of Sicily, enter the US illegally desperate tp find work. As Rudolpho and Catherine fall in love, Eddie's devotion to hisniece is no longer toudhing buit terrifying. Season: May 3 - 18. 2019. This is the tale of George Bailey - a man who'd give up his own dreams in order to help others. His plans to commit suicide Chtristmas ve but his guardian angel, Clarence Odbody, appears and intervenes. Clarence show him all the lives he, George, has touched and how very different life in his Bedford Falls community would be if George had never been born. Inspired by the classic film starring James Stewart, thia production is per4formed 1940s live radio style with a studio ausience. Tartuffe, a pious hypocrite, has wheedled his way into the wealthy family of Monsieur Organ. Organ, totally besotted by Tartuffe's charms, plans o give him not only his fortune, but his daughter;s hand in marriage. The struggles of the rest of the family to expose the imposter are both hilarious and rosqué. Molière's sinfully brilliant comedy, when first performed so shocked the clergy of the day - oh, such an attack on religious hypocrisy! - that the Church called anyone seeing it or acting in it to be excommunicated. The public, however, loved it... and we know you will too. Season: November 15 - 30. 2019. There's so much more to do at HTC than just being in the audience. The theatre is looking for enterprising individuals to come aboard backstage in a number of diverse and exciting positions, ranging from assistant stage managing and crew to operations in lighting and sound. These backstage positions - working with experienced theatre veterans in all areas - offer an exciting glimpse into the world of community theatre, and how it really does take a village to make a show. If you're interested in getting involved, HTC email us at htc@htc.org.au. Don't delay - no two HTC shows are ever the same experience! The Child by Olsen Wymark, directed by Barbara Crawford. Performance dates: Thursday April 11, Friday April 12. Saturday April 13 at 8pm Sunday April 29 at 2.15pm. This tragicomedy relates the story of the three Magrath sisters, Meg, Babe and Lenny. who reunite at Old Granddaddy's home in Hazelhurst, Mississippi, after Babe shoots her abusive husbnad. The sisters were raised in a dysfunctional family with a penchant for ugly predicaments. Each has endured her share of hardship and misery.Past resentments bubble to the surface as the sisters are forced to deal with assorted relatives and past relatiionships while coping with Baba's latest incident. Each sister is forced to face tha consewuences of the crimes of the heart she has committed. Season June 7 - 22. 2019 at 8pm. Matinee Sunday June 9. 20199 at 2.15pm. Twilight Sunday June 16. 2019 at 4pm. Two Jewish families are forced to hide from the Nazis in a secret annexe in Amsterdam. IN her tiny room. Anne Frank keeps a diary, detailoing the claustrophbic realities of daily existance experienced by the families. She also records her own coming of age, battling low spirits and loneliness, fighting with her mother, and falling in love for the first time. Despite her oppressive circumastances, her spirit shines through as she voices her belief that people are really good at heart. Seaon: Augst 9 - 24. 2019 at 8pm. Matinee Sunday August 11. 2019 at 2.15pm. Twilight Sunday August 18. 2019 at 4pm. Art imitates life, Life imitates Art. When two actors with a history are thrown together as romantic leads in a forgotten 1930s melodrama, they quickly lose touch with reaqlity as the story onstage follows them offstage. There's mot one but two plays-within-a-play in Sarah ruhl'sStage Kiss, a highly meta-theatrical, fundamentally enjoyable, slightly slight, not-so-romantic comedy pondering the complexity of onstage osculation. Twilight Sunday November 24 at 4pm. The face of Peridot Theatre- you could be the lovely lady or gent greeting our patrons at the door, guiding them to their seats and making sure the audience refreshments between the acts and after the performance are ready to go when needed. You can find the fun you're looking fr by going to the Peridot website and clicking on Who We Are or by giving Helen MNcintodh a call on 0403 797 709. Green Day's American Idiot follows a young anti-hero, Johnny, the self-proclaimed Jesus of Sububia, and his two buddies, Will and Tunny, as they attempt to breakl out of their mind-numbing, aimless suburban existance. When the three men flee the constraints of their hometown for the thrills of city life, their paths are quickly estanged when Tunny enters the armed forces. Will is called back home to attend a familial responsibilities, when Johnny's attention becomes divided by a seductive love interset and a hazardous new friendship. Each man struggles to find the difference between age and love - a conflict that defines their generation. In a suburban pub bistro on a Friday night three office workers - Dympie, Paula and Monika - are desperately seeking a gtood nigt out. At an adjoining table are Gordon, recently anbonded by his wife, and Stephen, looking for domething more then the usual one night stand. As the night proceeds, inhibitions and social restraint disappear, exposing the foibles, pain and humour of the characters' inner lives. Season: June 14, 15, 19, 20, 21, 22, 2019 at 8pm. Matinees: June 16 & 22 at 2pm. One day Maggie Roland is walking home from the supermarket and finds something lying by the railway track. At first she isn't sure ehat the object is. But as she inches her way closer, she realises the fugure s actually a young moman, pencil thin, dressed in filthy black rags. And who ud she? Where did they come from? And how did she end up beside the railway track? Maggie decides to take her home. So begins " we have spoken of this before" - a powerful, haunting and atmospheric work that explores the growing bond between two women. Season: October 11, 12, 16, 17, 18 & 19. 2019 at 8pm/ Matinee October 13& 19 at 2pm. Two well to do shopaholics have a surprising secret. Confident Beryl & prudish Doris, on an annual works outing, learn a little more about themselves and their work colleagues than they perhaps ought to. A woman'slife is blighted by the machinations and emotional blackmail of her sickly elder sister. Ma=ry just broke up with this guy she's being seeing for sux years. Welcome o the cext year of er life - as she goes through a billion dates from hell. Trevor and Barney are a hit duo comedy act. But they are not the friends you would expect. There are dark secrets exposed that lead o a giant twist you won't see coming. Season: August 1, 2, 3. 2019 at 8pm. Matinee: August 4 at 2pm. Roger is having trouble getting a team together for the afternoon's fixture against the British Railways. Maintenance Division Yeading East, but this proves to be the least of anyone's worries. Bob is having marriga trouibles as he is still doing odd jobs for his ex-wife behind his currrent wife Ginnie's back. Dennis is a;so having marital trouble as his wife seems intent on moving house despite the factr they moved recently. Kevin is trying to fight off his over-affectionate wife Maggie, while at the same time nurse his injured finger and Alex's new girlfriend ends up shutting herself in the toilets having hysterics. Even roger's seemingly perfect marriage to Miriam hits the skids when she discovers he was playing away from home in more ways than one on a trip to Dorking last year. Just when it seems things can't get any worse for them it starts to rain. A story of a woman who receives a heart transplant, an her eventual meeting with the family of the donor. Instead of relishing life after her transplant, Joy enters a downward spiral, unsure whether she truly deserves a second cance. Meanwhile Alice and Hank mourn the loss of their son, Jack, whose heart was uused to dave Joy. At a friend's urging, Joy tracks down Kack's family to find closure. But arre Alice, Hank and thie daughter Sammy ready to accept Jack's death. This chilling, unusal play tskes as its influence from the myth of romulus and Remus. Twins Robert and ZLinda were given up for adoption shortlyafter their birth by their mother Helena. Years later, on their 21st birthday, they lure Helena to a derelict building on the pretext that she will be meeting her lover Michael. The reality is rather different. is about Big Foood - about compniesw producing packaged foof and drink products we consume. Experts argue a lack of fresh fruit and veggis in our diet impacts our health , and warn that millions of people suffer due to bad diets and overeating. the play begins in the boardroom of ig Tobacco, morphs into Big Food, then morphs again. Season: November 7 - 8 & 14 - 16, 2019,. 3pm - 6pm Mondays to Fridays. 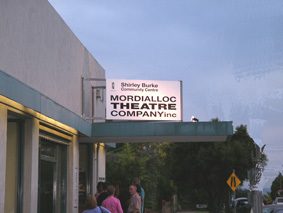 Peninsula Theatre 93 McMasters Rd. Woy Woy. Would you like to have news of your productions entered here? If so just email feedback@pktheatre.com with your news.